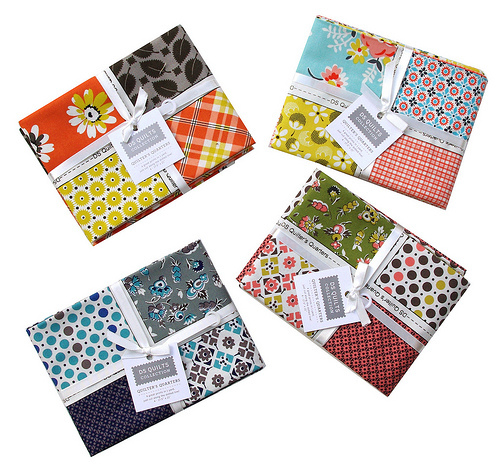 Four different 1 yard panels each with four different coordinating prints. 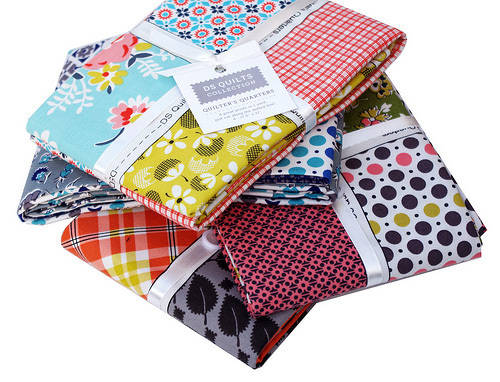 Sixteen fat quarters in total. 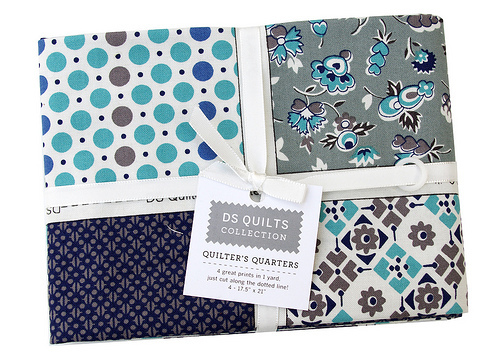 DS Quilts collections are available from Joann Stores in the USA and Spotlight in Australia (although I haven't yet been able to confirm an arrival date of Quilter's Quarters at Spotlight). I purchased my stash @ Etsy. Oh how very cool, I'd better be more observant ay Joann's! I need to get over there. I've been cleaning house much too much. Thank you Rita! I have seen bolts of this material at our Spotlight in Brisbane, QLD, But not these packs as yet.... but my eyes are now open fully!! Your link doesn't go to a proper page? Ugh I just LOVE DS! 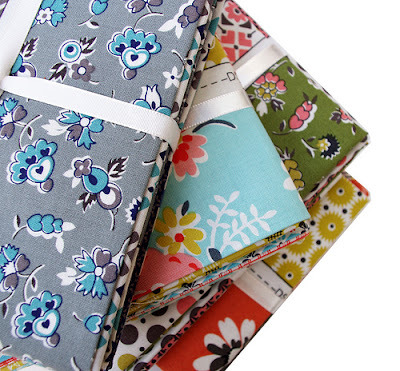 interesting way of doing fat quarters ... by the yard and you get 4.. that is cool! Why can't I find them at my local JoAnn's, south of Dallas???? Are they with the other pre-cut fabrics?